In a digital world where we are regularly bombarded with information, cutting through the clutter is a constant struggle. People are drawn to visual content and internet usage via smartphone continues to increase. This makes Instagram a prime business marketing platform, with over 80% of Instagram accounts reportedly following at least one company. Sixty-five percent of individuals are visual learners. Instagram is a graphic platform that enables users to learn about products in a memorable and inspiring manner. Images not only remain in someone’s memory, but they also influence emotions. Emotions drive action from consumers, whether it’s positive—purchasing products—or negative—boycotting the brand. Instagram has a wide audience of 500 million active daily users. For the best response, it is recommended to post no more than two times per day to avoid clutter and give each post an increased chance of being seen. 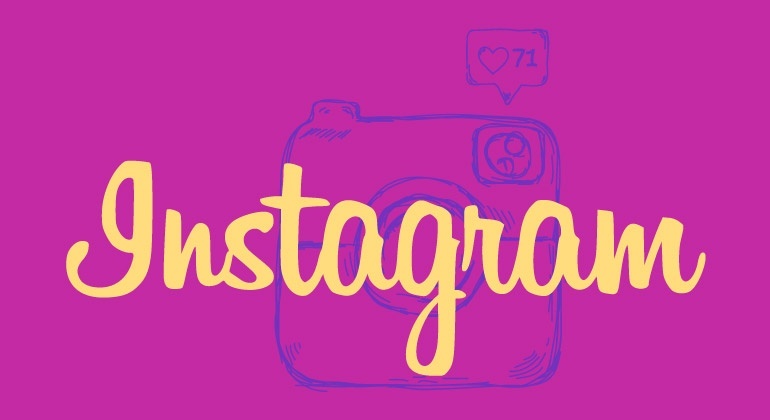 Brands on Instagram receive four times more engagement than brands on Facebook. Being engaged—liking and commenting—with your audience will build positive customer relations and increase the activity and therefore visibility of your posts. Instagram has recently enabled users to click on embedded tags within an image. These tags show the price of the product and offer a CTA (Call-to-Action) for the consumer. Seventy-five percent of Instagram users take action after being inspired by a product. Create a business username that is recognizable and as close to your company name, brand name or product name as possible. Make sure not to link your Instagram business profile with your Facebook business profile, as these platforms should remain separate. Make your profile public, include your business name, a profile picture containing your logo and a memorable header. Creating a header for your account is an easy way to give your brand personality or promote a recent product, event or service. A good Instagram header includes contact information or a link to their official site, and prompts the viewer to take action. Did you know posts with hashtags receive 70% more likes than posts without hashtags? The purpose of a hashtag is to connect people to posts in a simple way. Appropriating hashtags that are relevant to your goals, content, and brand will help aggregate your images and associate them with trending topics. A common tactic is using your business or brand name as a hashtag. When posting on Instagram, quality is more important than quantity. All content on Instagram is visual, so it takes a high quality and memorable picture to stand out. Will you show off internal company culture? Highlight customers? Promote deals and offers? Decide what your goals are—whether it be gaining followers or increasing interaction—and form your strategy accordingly. Make sure to plan what and when you’re going to post. Instagram for business enables you to schedule posts for automatic release. Instagram analytics have found generally, weekdays between 5pm and 7pm are the best times to post. Instagram is the one platform where a company can truly show its human side—it can be a window into your brand’s culture that is warm, inviting and friendly. It’s important that posts are consistent with your company’s tone and manner. One way to build consistency is through filters. Filters can be applied to your posts to enhance the image or video. You should stick to using the same one or two filters for every post to provide a uniform look and feel. An Instagram story is similar to a Snapchat story. They are available to your audience 24 hours after posting. The purpose isn’t meant to get likes or comments, but rather show what your company is doing on a day-to-day basis. A great way to use the story feature is by posting behind-the-scenes content, giving your audience an “inside look”. Promoting this exclusive content on other sites or social networks will increase traffic to your page, and give viewers a reason to follow you. Utilizing live stories can be advantageous too, because they allow your audience to interact with your company based on real-time footage. The story feature on Instagram has been around for just over a year and is introducing new, innovative features to compete with Snapchat. One of the new features is a “superzoom in” mode. While taking videos or pictures, you can zoom in on either the front or back facing camera. Another new feature is the multi-screen for live video. While creating live videos you can invite one of your audience members to join in on a video chat that is seen by all viewers. Instagram is mainly a mobile app, but they are making strides to convert to a more friendly desktop version, enabling users to watch stories and view bookmarked posts. Sharing photos online is a fun and engaging way to market your business. Instagram is great for appealing to emotions, generating sales, driving high user engagement, and providing high visibility of posts. Craft fresh and relevant visual content, and watch what Instagram can do for your business.